Experience the United States of America from the 50 highpoints. The quest to summit the 50 highpoints in America came later after living in the North Cascades of Washington State. Many may summit the lesser peaks first to work toward the difficult later however the first three peaks were Rainier, Whitney and Denali completed in that order. 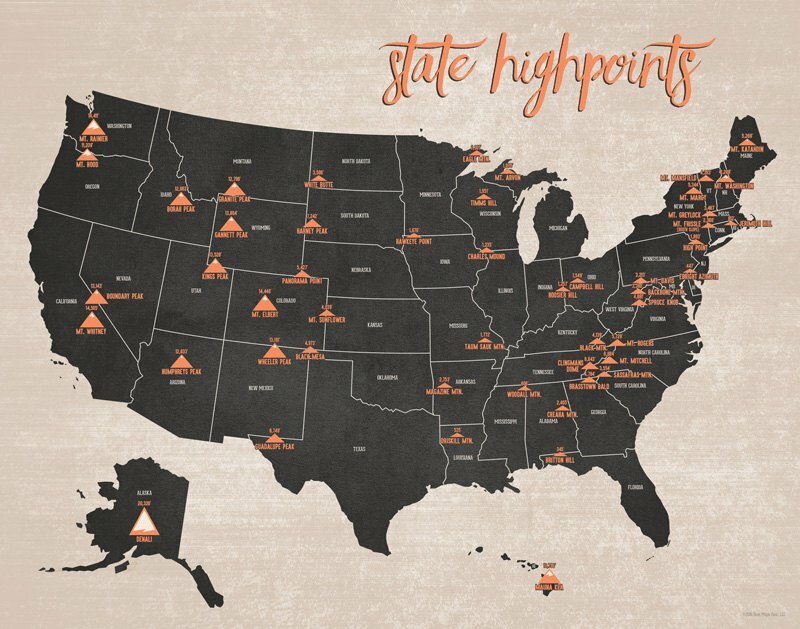 The collection of 50 highpoints are a testament of man’s need to celebration of some of the most beautiful places on the North American continent.